Why demand for wireless continues to grow. Figures from the 2018 edition of “The Wireless Access Control Report” show continued strong growth for wireless vs. wired solutions. 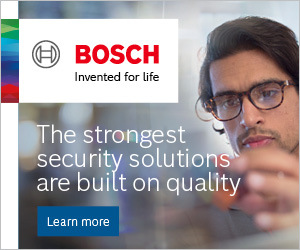 Why do you think security and facility managers are “cutting the wires” more and more? The new report forecasts growth in wireless locks for “non-door” applications (lockers, servers, and so on) to outgrow those for doors. Why is wireless technology especially suited to these “non-doors”? What specific problem did SMARTair® solve at ULab? One of Spain’s newest co-working spaces, ULab’s vision incorporated the latest in security, accessibility and design to create a 21st-century business centre. Wire-free SMARTair® delivered real-time access control to accommodate both regular daily traffic and busy one-off events. 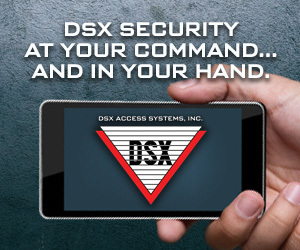 How does the flexible access management offered by CLIQ® impact on your day-to-day security? The municipal water authority of Valence supplies safe drinking water to 65,000 local residents. It also manages 4 boreholes, a storage unit and 300km of water pipes. With CLIQ® key-based access control, audit trails for every lock, key and padlock are available on demand, so monitoring contractor visits is easy. Weekly mandatory key revalidation provides another layer of security. Five of their keys are equipped with CLIQ® Remote technology, so supervisors can also update access rights on the move, via Bluetooth. The new report picks out “integration” as a growing trend — with an overwhelming majority of survey respondents saying integrated systems are “important” or “very important” at a site. 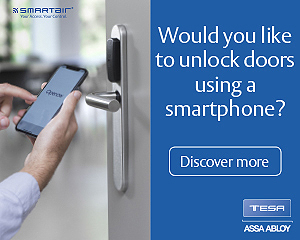 How does integration with ASSA ABLOY Aperio® wireless locks benefit AXIS Entry Manager customers? Can switching to Aperio® wireless access control deliver concrete budget benefits? After 20 years, Lund University’s Faculty of Law was looking to upgrade its access control system. Aperio® battery-powered escutcheons and cylinders with card readers are now fully integrated with Pacom’s Unison system. Aperio® locks work with the existing MIFARE® smartcards, so there was no need for 42,000 students and 7,500 staff to return their smart-cards for reprogramming, or even to visit update readers to reactivate their permissions. Every door or card is still managed centrally from a single admin interface.